For a World in Economic Crisis, Could Spanish Be a Lifeline? A new report entitled “Atlas de la lengua española en el mundo y Economía del español” was recently released by the Fundación Telefónica and presented at the Cervantes Institute in New York City (watch the video). The report seeks to offer an overall picture of the state of the Spanish language in the world today and to place a financial value on the Spanish-language cultural industries. The BBC highlighted the fact that Spanish, being a multinational language, could be a key market to bet on in these times of global financial crisis. With 450 million Spanish speakers in the world, they add up to an annual purchasing power totaling some US$4.2 billion, and representing the equivalent of 9% of the globe’s gross domestic product. According to the report, 85% of these Spanish speakers are concentrated in the Americas. The report concludes that Spanish will be the second most important language worldwide for commerce and economic development over the next ten years. José Luis García Delgado, one of the authors of the study, also stressed that by the year 2050, the US is expected to be the largest Spanish-speaking country in the world, with one in three of its citizens speaking the language. 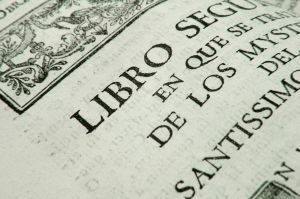 Online, the Spanish language is used by 680 million websites, second only to English.